San Francisco seems to be positively littered with delicious little spots where you can grab pretty much any kind of food you can imagine, from any part of the world. This makes me a very happy camper, and it is my intention to share the wonderful places I’ve tried – and clearly purely for research purposes I’ll have to do a bit more eating around town ;). North Beach is the Italian area of town, replete with gelaterias, buzzing pizza spots and tables spilling onto the sidewalk from all the trattorie. There’s even an Italian butcher! One particularly traditional North Beach spot is the Liguria Bakery, a tiny little shop that’s been going for a century (seriously – it opened in 1911). 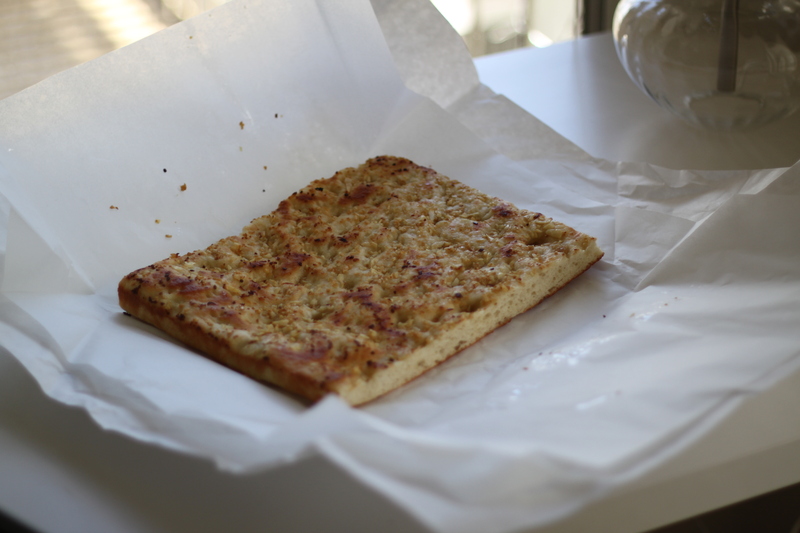 The bakery specializes in only one thing – focaccia in a variety of different flavours. Only doing one thing, they do it well – this focaccia is divine. For $5 they give you a slab of their yummy bread – last time I got the garlic, but they also do plain, pizza flavoured, rosemary, raisin, olive, and more. Mmmm. Your delicious focaccia will be wrapped up in greaseproof paper for you to whisk away and enjoy – just make sure you get there early to avoid the trauma of them being sold out! 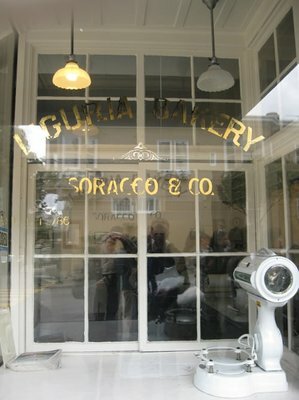 The Liguria Bakery, 1700 Stockton St (at Filbert), North Beach.